Kylie Johnson Art The promoter is: Kylie Johnson Art – at K JJJ Designs Pty Ltd. ABN 56164409394. The competition is open to residents of Australia aged 5 to 12 year olds except employees of Kylie Johnson Art and their close relatives and anyone otherwise connected with the organisation or judging of the competition. 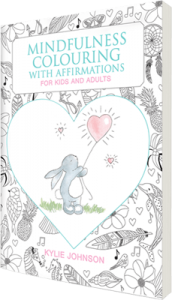 Route to entry for the competition and details of how to enter are https://www.kyliejohnsonart.com/mindfulness-colouring-with-affirmations- Competitions will be run and announced on Instagram and Facebook social media platforms Only one entry will be accepted per person. Multiple entries from the same person will be disqualified. Closing date for entry will be last day of each month. After this date no further entries to the competition will be permitted. The rules of the competition and how to enter are as follows: To enter please go to our competitions page on website www.kyliejohnsonart.com to receive our downloadable competition pages. These colouring competition pages may also be found at various locations and venues around Australia. Note: this is optional and not compulsory. Fill in comments section your answer to the competition in one short sentence. Like and follow @kyliejohnsonart on Instagram and Facebook. All entries must be completed and sent by the last day of the month. The promoter will notify the winner when and where the prize can be received. 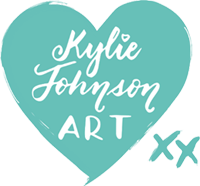 Kylie Johnson Art will judge the competition and decide on the winner each month which will be picked at random from all complete entries via Instagram, Facebook and email entries. Kylie Johnson Art ‘s decision as to those able to take part and selection of winners is final. No correspondence relating to the competition will be entered into.The entrant must be following @kyliejohnsonart on Instagram and Facebook in order to enter. Kylie Johnson Art shall have the right, at its sole discretion and at any time, to change or modify these terms and conditions, such change shall be effective immediately upon posting to this webpage. Kylie Johnson Art also reserves the right to cancel the competition if circumstances arise outside of its control. Please check out our Privacy Page for additional information.